A unique experience awaits you! Tucked away in the rolling farmlands of the Shenandoah Valley of Virginia, only 4 miles from the heart of historic downtown Lexington, good restaurants, shops and 3 universities, this Virginia treasure offers a retreat from the hectic pace of modern day lifestyles. Sit with a loved one in the evening under the 65 ft grapevine covered pergola with its twinkling lights and you may momentarily think you are in California or Tuscany's wine country. The distant haunting call of a coyote to its mate, summer fireflies flickering like stars in the night sky, the Milky Way, the calming sound of the water fountain on the fish pond – all lend themselves to a peaceful, quiet and relaxing time... the perfect place for a personal or couple's retreat or a special celebration event. 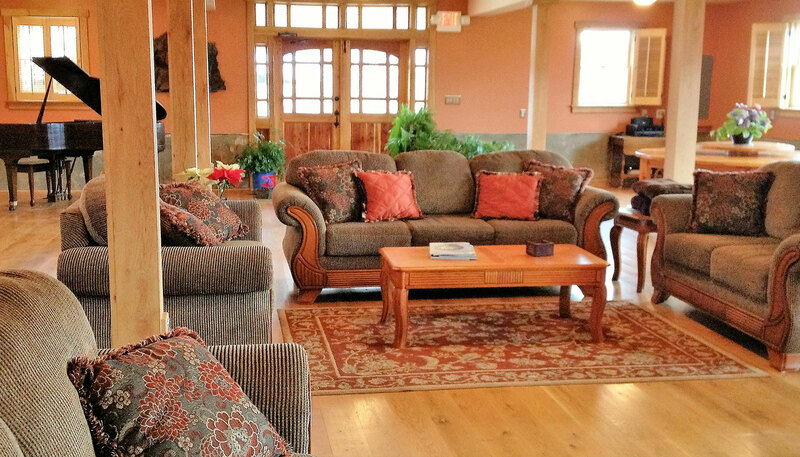 The Retreat Center's 6000 sq ft facility with full catering kitchen, large stone fireplace, grand piano and unique grounds is ideal for events up to 150 people... celebrations, weddings, renewal vows, workshops, trainings, out-of-the-box business meetings, soirees... and over-night lodging. 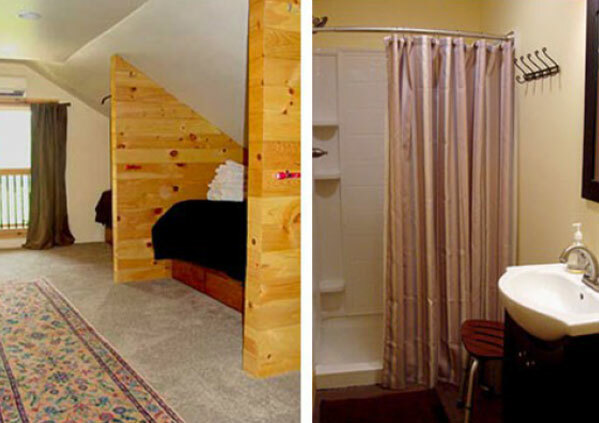 Creatively and uniquely designed these two guest suites offer a fun and unusual experience for overnight accommodations. 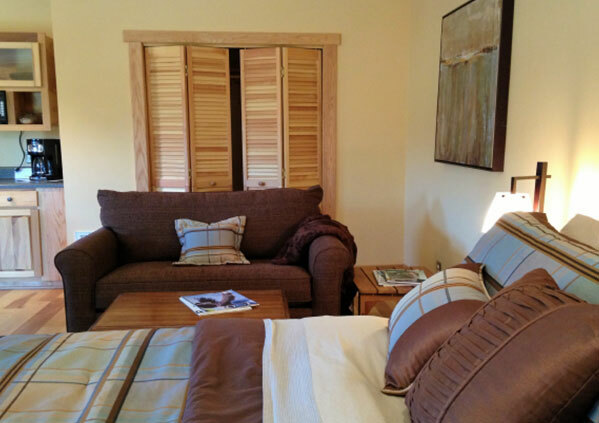 Located on the second floor of The Lodge you will enjoy the quiet of this interesting space. 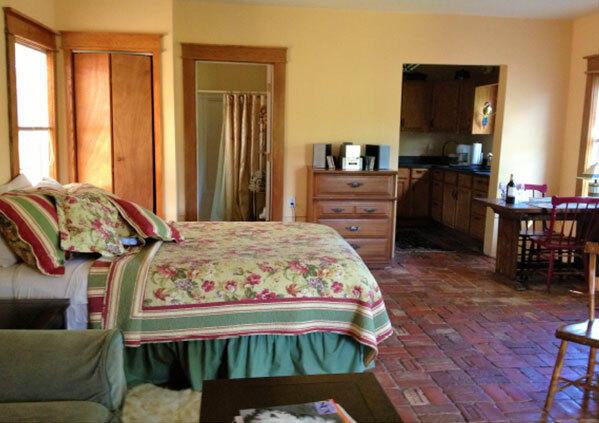 One King bedroom, Country Garden, and one Queen bedroom, Country Tweed, are the only guest rooms we offer. Each suite has a sitting area, luxury bedding, full bath with shower, family style toiletries, plush towels and interesting magazines. 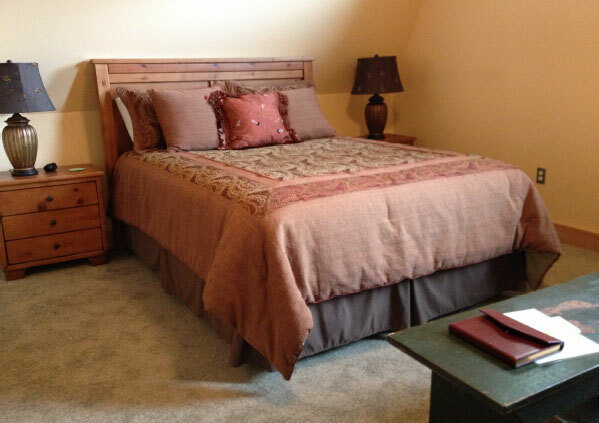 Our guests have use of the entire 2nd floor we call The Hayloft Room. Here you can relax in your choice of multiple sofa arrangements in a brightly lit large room with high ceiling. 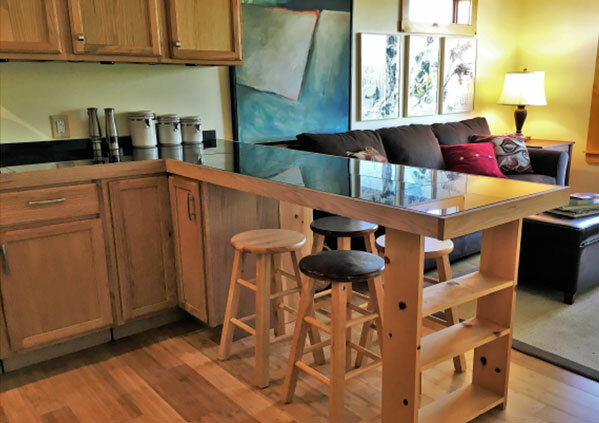 A self-catered coffee bar is available as well use of the microwave and mini refrigerator. The vine framed balcony is accessed by french doors where an amazing vista awaits from Lone Tree Hill to the interesting cone shaped mountains of Buena Vista. The stairs take you down to the pergola where, if there is no event happening, you can relax listening to the soothing sounds of the water fountain on the fishpond. In the evening the soft twinkle lights lining the pergola overhead lend itself to a very magical experience. 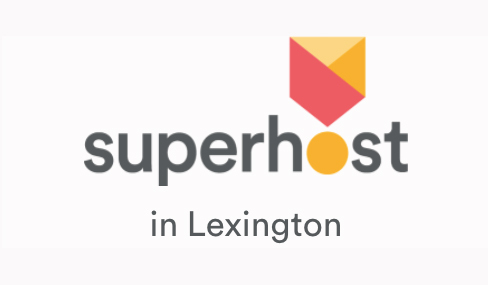 The Loft Dorm's deluxe single beds on the 3rd floor are rented only when the entire Lodge is rented or both bedrooms are rented to the same guest. The Loft is a really fun place to have family members, workshop attendees or single wedding guests stay. Each bed is surrounded by three walls of wood with an individual reading light, good quality bedding, a king sized pillow, towels and a spa robe. The showers and bathrooms are located on the 2nd floor. 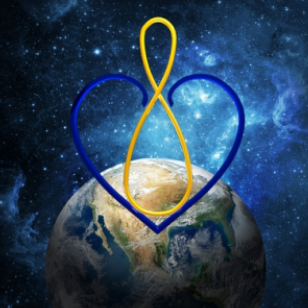 We are a Retreat Center and Teaching Facility as well as a vacation destination. There is always the possibility of an event taking place on the 1st floor one or more days while you are with us. If there is an event scheduled we can tell you that when you contact us. 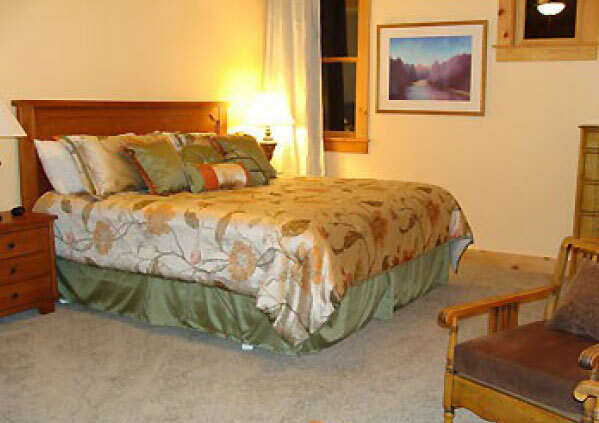 If there is an event in the Hayloft room, the guest rooms would not be available. We look forward to welcoming you! Guests have use of the pergola, Stone Garden, fire pit and/or chiminea, The Cozy (a small gazebo away from the pergola) and the meditation garden. 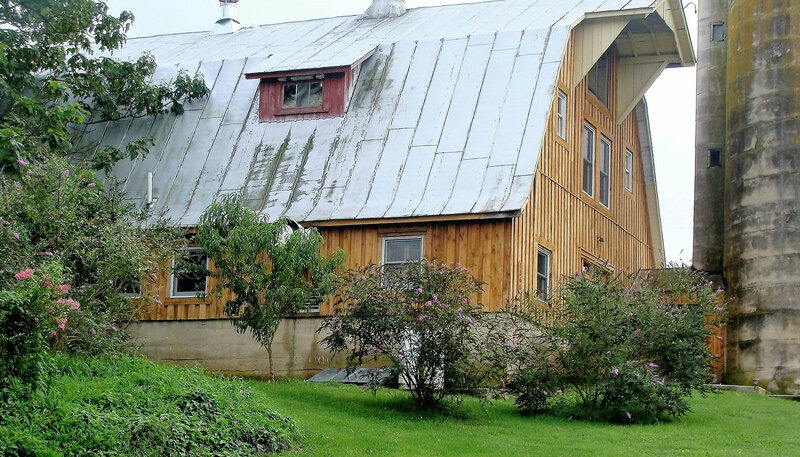 The 3 studios on the Heartstone Retreat side of the farm are as unique as our other accommodations and facilities. Each space has a story. As with the old dairy barn, here too lives of many of the worker's found a ray of light. Folks who had not worked for many months were suddenly receiving other work offers (we kept them for a few years first :), workers who found employment with us on the way to their dream job, craftsmen who were arising from difficult times found a purpose with us – many beautiful life stories of healing to share. The 65 foot grapevine covered pergola creates a beautiful & peaceful backdrop for your afternoon or evening relaxation. It can also serve as an impressive wedding altar. 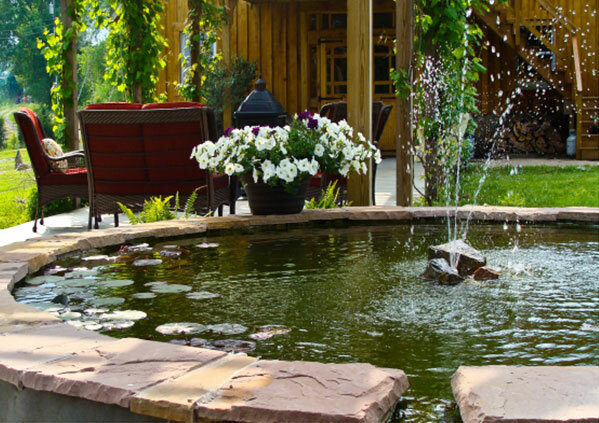 The fishpond with its water fountain and sweet little waterfall mesmerizes. Add the soft twinkle lights lining the edge of the pergola and the ambiance is magical. The 3 tiered meditation garden, Jardin d'OrPhi, the garden of golden proportion, is a tranquil garden-like setting serving those drawn to its tranquility. Mathematically laid out in golden ratio proportions and lined with golden proportioned garden sculptures of Antonia's design, the energy of this space for some is palpable. Even the wind chimes' musical notes are in a golden ratio. 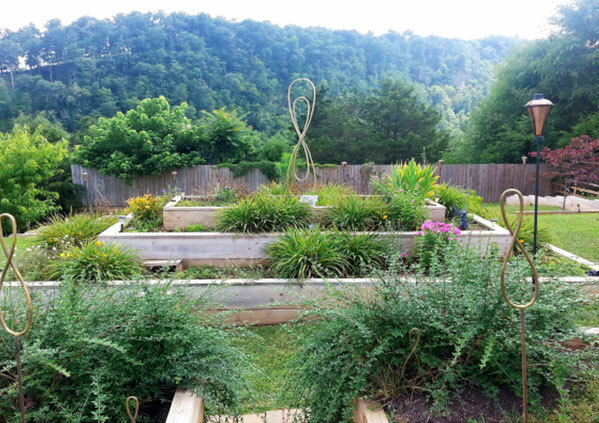 There are benches on each tier of the garden for relaxation. Fire torches line the edges of the 2nd tier's golden rectangle pyramid. Add solar lights & spotlights on the center golden proportioned sculpture and the atmosphere comes alive. Evening ceremonies are hauntingly beautiful. Whether for yourself or for your retreat group this sanctuary is a place of stillness and magic. The Stone Garden has pillars of stone left when the previous dairy farm owner removed the side of the structure we now call the Bull Barn. We wanted to keep these pillar structures so we decided to create a step down space that is an extension of the pergola area. It can be used as a ceremonial space for smaller weddings using the full moon gate as their altar. 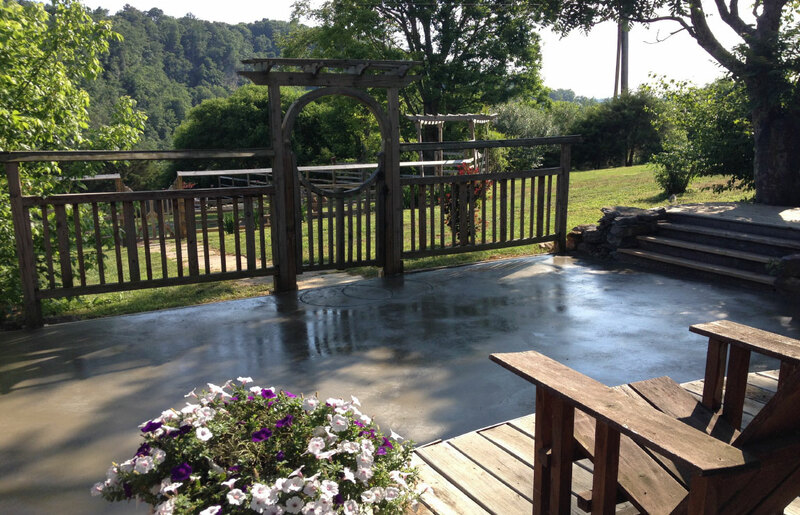 Its been used as a dance floor, a beverage bar, an outdoor retreat space or just plain relaxing. We hope that you will look further into our site, get excited hearing the call to come spend some time here. This is not your hotel experience! A self-catering retreat - this is more like your home that is unpretentious & casual albeit, elegantly casual. Several guests have mentioned that they felt as though they were back in Tuscany or the California wine country. We love hearing that as we both love those areas of beauty. 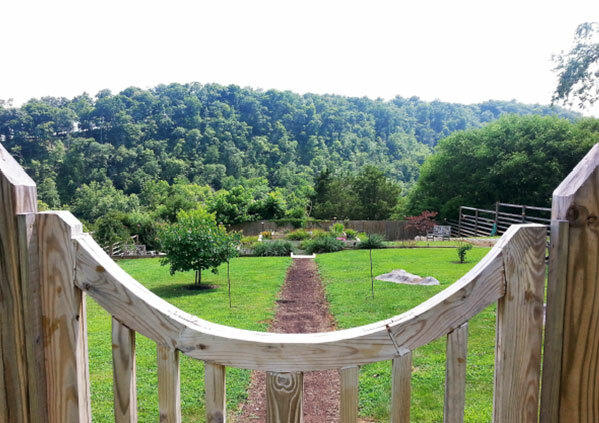 Welcome to Heartstone Lodge & Retreat Center. The only thing missing is YOU!